Interested in learning more about the individuals who help The Fredericks Company provide exceptional products and services to our customers? Welcome to our blog’s Employee Spotlight series! This series aims to give our readers a peek at Fredericks’ hard-working team to learn more about their roles at the company and what motivates them to work hard. 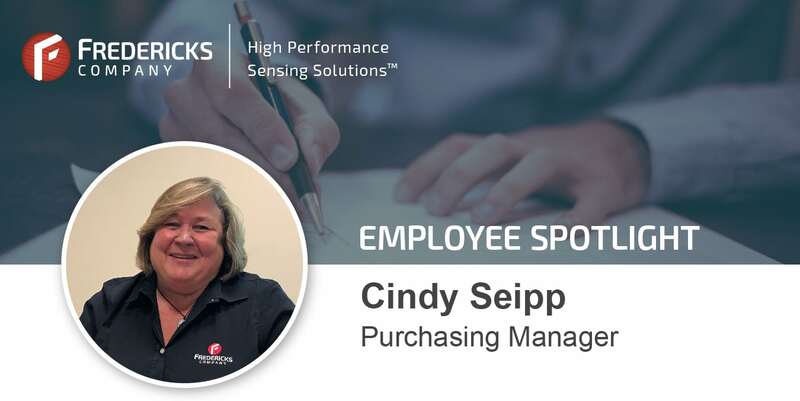 For our second installment, we’re highlighting our Purchasing Manager, Cindy Seipp. 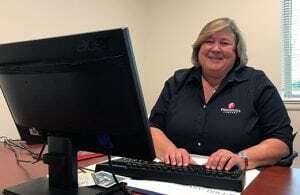 Cindy has been with us for nearly 40 years and has been integral in the growth of the Company and our supplier network. Read on to learn more about Cindy and how she turned her summer job into a decades-long career at Fredericks! Each day is varied, but my main tasks include working on quotes, booking POs , expediting materials, proactively resolving any purchasing issues that may arise and talking to the other managers to make sure everyone has what they need to keep things running smoothly. Another big part of my job involves maintaining strong relationships with our suppliers, so there is a lot of work that goes into that every day. I started working at The Fredericks Company 38 years ago this June. I took what I thought would be a summer job cutting glass and doing prep work, but was given the opportunity to train as one of the glassworkers and eventually became the supervisor for the Dewar department. Along the way I picked up supervision of the Shipping and Receiving area, and worked my way up to the Purchasing Manager position. The company has always been very good at offering opportunities for advancement. I had a few years of college when I started here, but had not completed my degree so the company paid my tuition, allowing me to go back to school. It was a very proud moment for me when I graduated (Penn State – class of ’95!) and on a personal note, I felt I was able to set an example for my daughter about working hard to achieve your goals. After so many years, it’s hard to pick just one project, but I do really enjoy developing our supplier base. It’s a challenge to match the right products with a good source, and maintain a reasonable price but we have some really great companies working with us and it’s very rewarding to lead the charge in continuing to build out our network. Additionally, in the last few years I have been able to travel more, and find it very interesting to visit with our suppliers. For every visit, I have no idea what I will learn, and it makes our interactions that much more personal. We have so many new products being developed right now, I’m sure I will be busy sourcing all our new material needs.